NDE (Near Death Experience) evolved from The Hammer On The Witches project in the late 80ties by Slavek Kwi (modified electric guitar - " tritar" - with electronics, tapes) and Honza – Sculpteur Des Sons (electronic percussions and samplers); they were later joined by singer Claire Blach (here also playing trombone with electronics and synths) and subliminal synth-wizard M2w. 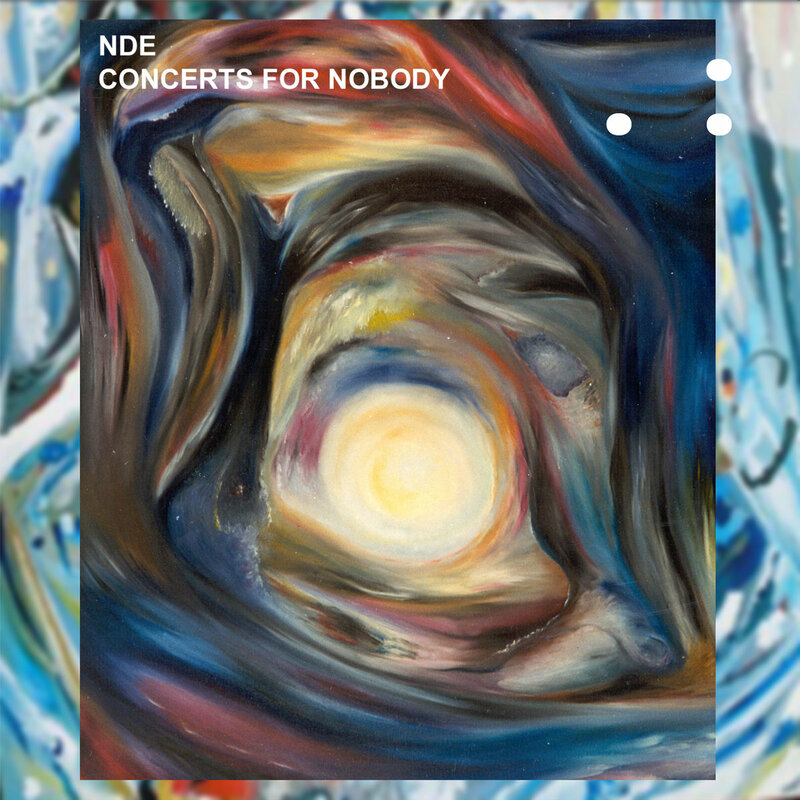 "Concerts For Nobody" are archival recordings - unedited - from their long improvisations performed at that time almost daily in home-studio in Liege, Belgium in early to mid 90ties. NDE was dismantled in 1995; this recordings contains also their last and final session. Slavek Kwi is best known for his work with field recordings as Artificial Memory Trace. Back in the 1990s, whilst living in Belgium, he was a member of experimental music group NDE. On these recordings from 1993 to 1995, you can discover this completely different side of Slavek Kwi. This combination of abstract electronics and more conventionally musical structures shows a different side of Slavek Kwi, who in these sessions works alongside his fellow band members Claire Blach and Honza_Sculpteur De Sons. The cover artwork is based on oil paintings by Slavek Kwi. After having released quite a few titles by Artificial Memory Trace, attenuation circuit is honoured to present this largely unknown aspect of Slavek’s work.